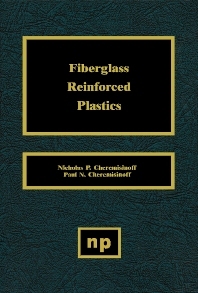 This book has been prepared as a reference on manufacturing techniques and applications of fiberglass reinforced plastics. It provides discussion of properties, concepts and is written for the potential user to summarize advantages in usage. The book contains nine chapters of discussion of relationships between polymers, reinforcements and uses, as well as a useful glossary of plastics and engineering terms. There is a wide interest in fiberglass reinforced plastics due to useful properties which meet a great many product and use requirements, as well as the relative ease with which such products can be fabricated. Fiberglass reinforced plastics find applications in transportation, marine, construction, electronics, recreation, aircraft, aerospace and numerous manufacturing industries. These plastics have virtually displaced wood in the marine industry, and applications replacing metals in other areas continue to grow. Fiberglass reinforced plastics find applications in transportation, marine, construction, electronics, recreation, aircraft, aerospace and numerous other manufacturing industries.